If you're a dog owner and follow these simple rules, you can help keep West Vancouver a great place for all of its inhabitants, canine and human alike. Any dog that has attacked or tends to attack, harass or bite other domestic animals or humans without provocation, or is any type of pit bull terrier or other dog specifically bred or trained for fighting, is an aggressive dog under Animal Control and Licensing Bylaw #4545. When at home, the dog must be securely confined by a structure which will keep young children from entering and the dog from exiting. Any dog that has bitten a person or pet must be muzzled when off the owner's property. Excessive barking that disturbs neighbours may result in a fine. Picking up your dog's waste is the right thing to do—and it's required by the bylaw. By taking a few simple steps, you can help keep our parks clean and safe. 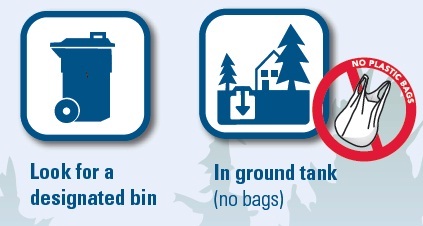 If no other options are available at your local park, place the waste in a sturdy bag and take them home. 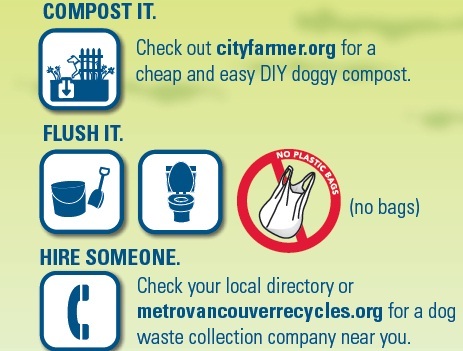 Dog waste can also be double-bagged and discarded with residential garbage. This is suitable for smaller amounts. Not all dogs bite, but all dogs can. Children under nine are most at risk, so please follow these useful tips to prevent bites and ensure you teach your children about dog safety. Be careful when you and your children are playing with your canine. Most bites occur when children are playing with dogs. Report all bites, incidents of aggressive behaviour and stray dogs to Bylaw Services at 604-925-7152. Dogs can bite when defending toys, food, yards, porches, vehicles, puppies and their guardians. Be aware of defensive dogs. Watch out for fearful dogs, they can bite to protect themselves. Unsocialized backyard dogs can be a high risk to bite. Do not let children stick hands through fences or approach tethered dogs in yards. Approach slowly, walking in an arc. Walking in a straight line can be viewed as a threat. Ask the person with the dog if the dog is safe to pet. Stand at a slight angle to the dog, allow the dog to sniff your hand. If the dog is friendly first pet the dog under the chin. Never reach over a dogs head to pet. Never let children hug dogs, some like the affection but most do not. Sick, injured and elderly dogs may be uncomfortable or in pain and less tolerant of people. Be careful. Never approach stray dogs and make sure you report them. We've updated this handy booklet. 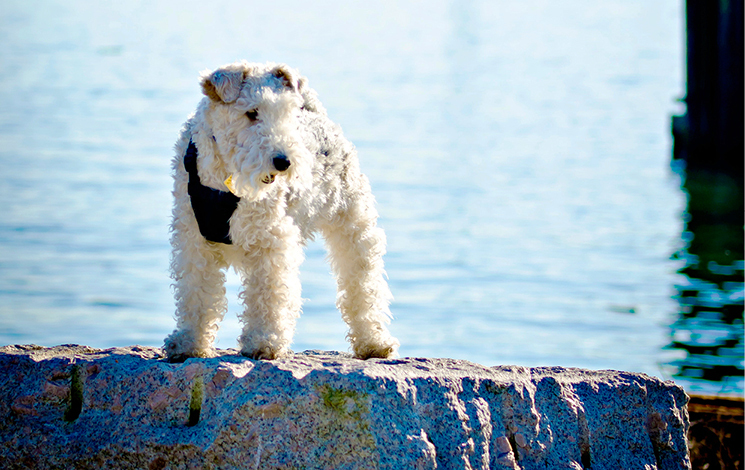 It's a dog's guide to West Vancouver, and it's got everything you need to know! Want to know where your dog can run free, where a leash is required and where your dog is not allowed? Commercial dog walkers require permits and licences. Details are in the Animal Control Bylaw.